The question that I had been asking myself over a number of years is, “how did art become abstract in the early 20th century?”. It has been in order to answer this question that I engaged in the research and writing of articles and books over the last 25 years or so. The writings of the early 20th century artists themselves were what guided me in how to formulate the questions that would reveal the path towards answering my own question. I always began with what seemed essential in their ideas so that gradually themes emerged which formed a picture both within the Russian Avant-Garde and outside it in the art and writings of their contemporaries, notably Piet Mondrian, Frank Kupka, and Paul Klee. The some 25 articles, essays and catalogue introductions published between 1989 and around 2011 began to answer the question inspired by the various approaches of the different artists, to then become particularly coherent in the articles and resulting book, Alexandra Exter Paints. This was followed by a well-developed understanding of the theories underlying the creative ideas and methods that are the subject of Malevich Paints – The Seeing Eye. The answer to the question, “how did art become abstract in the early 20th century?”, is found in a passage by Vasily Kandinsky of 1913 where, to paraphrase him, he says, “art is no longer about what we see but how we see”. Abstract art was born out of a new way of seeing the world, first out of optics and parallel to this, out of seeing within and behind the world of objects, the structures and forces that bring these objects into being. Painting non-objective aspects of the world necessitated non-objective means. The articles posted on this website have been collected into a kind of e-book, an anthology titled, On Abstract Art. They present the various stages and aspects in the exploration of abstraction and are found under ARTICLES. A full list of publications is found under PUBLICATIONS running down in the column on the right. Having done so much research on the Russian Avant-Garde in particular, several collectors and gallerists began to approach me as of 2006 to consult on works. Thus a new phase of art historical enquiry began with this consultancy in order to establish standards according to which works unknown to me could be assessed and judged. These standards were interdisciplinary, the engagement with scientific investigation into works of art which is able to establish if a work is old – at least 60 years – or a modern reproduction. If old, then knowledge of pigments, brushwork and other craft aspects of a work as well as what may be under the visible paint layers such as drawings or painting-out, together with what may be found on the back of a work such as labels, stamps or other markings all provided a new range of information which began to contribute to art historical practice in a broader way. Consultancy had led to a new art history. The contributions of scientific information about works of art to art history are discussed in articles which are linked to the section, AUTHENTICATING, complemented by case studies – art historical Expertises – of paintings by Kazimir Malevich and Liubov Popova. In addition, studies of PIGMENTS used by Russian Avant-Garde painters reveal new means of dating works among other things. This section is supported by the list of pigments found in two contemporary manuals (1928 and 1932) and establish the basic paint box of these artists from the beginning of the 20th century. Finally, the story about how abstract avant-garde works which had been declared illegal under Stalin and were confined to storages throughout the Soviet regime, were liberated from 1991 is found in an article, The Purge of Modern Trends. It is linked to COMMENT where “Researchers Slandered for Telling the Truth” relates aspects of the current situation where these works have become a target for certain forces in the art market today. Patricia Railing is an art historian specialising in the Russian Avant-Garde. 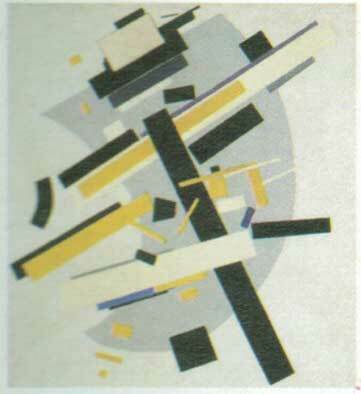 She has published widely on Russian Cubism and Suprematism in both articles and books. She is Director of Artists . Bookworks – www.artistsbookworks.co.uk – which brings early 20th century artists’ books and writings into facsimile reprints; they also publish monographs on the artists. She is President of the International Chamber of Russian Modernism, InCoRM, Paris – www.incorm.org – whose website is devoted to compiling a comprehensive resource on Russian modernism. Patricia Railing was born in New Orleans, Louisiana. Her father was a US Army officer and so she was brought up on both the West and East coasts of America before he was appointed to MAAG (Military Assistance Advisory Group) missions which connected him to the US embassies in Portugal and Iran, where she was educated or spent time. She did her B. A. degree in Philosophy at the University of Kansas, and her M. A. degree in Art History, also at the University of Kansas. There her teacher was Klaus Berger, pupil of Henrich Wölfflin and of Moritz Geiger, pupil of Edmund Husserl, this illustrious tradition laying the foundations of her approach to art history. Subsequently, she studied at the Institut d’Art et d’Archéologie, Paris, and her doctoral dissertation was “British Abstract Art Between the Wars” for the University of Paris 1, Sorbonne. She was Associate Curator and Head of Education at the Museum of Fine Arts, Montreal, Canada, 1968-1971, she lived and was teaching in Paris, France, 1971-1978, and in England from 1978, where she founded her publishing house, Artists . Bookworks in 1989. She obtained a doctorate in Philosophy of Art at the Université de Paris 1 – Sorbonne (2012) for her thesis, “Kazimir Malévitch – Le Suprématisme comme sensation pure”, and was awarded her degree as Très Honorable avec félicitations du Jury / Very Honorable with Congratulations of the Jury – With Distinction – defended 29 March 2013. MODERN TRENDS - WHAT IS SUPREMATISM?